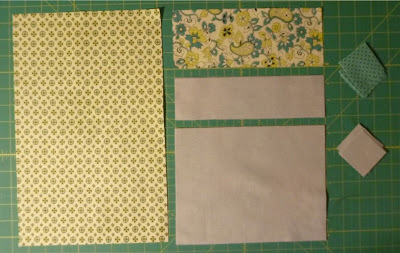 This measures 8 1/2" x 6" and was made to accommodate my Kindle with the cover on. This also nicely fits Android tablets. 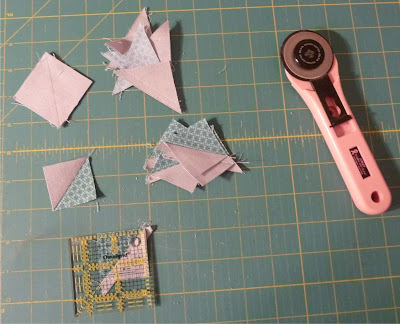 Measure your device and make any sizing adjustments before starting. Make (16) 1 1/2" HSTs begin by drawing a line diagonally on the wrong side of each of the (8) solid 2" squares. Layer each solid square with a printed square, right sides together. 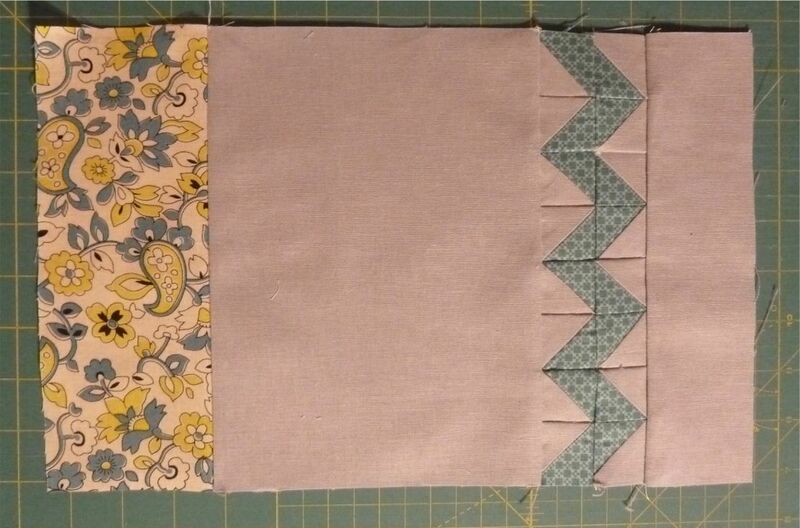 Sew 1/4" from both sides of drawn line. Cut on the drawn line and press towards the solid. 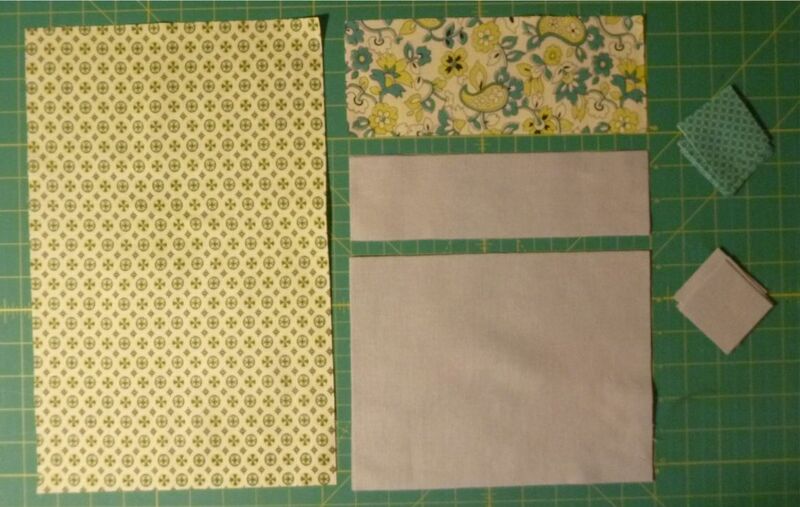 Trim HSTs to 1 1/2". 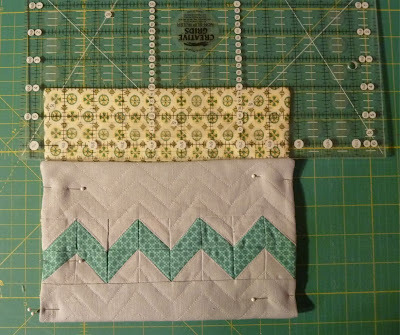 Sew the HSTs together in (2) rows of (8) to make a zigzag pattern. Sew 2 1/2" solid strip to 1 side of zigzag band and 7" solid strip to other side of zigzag band. Sew 3 1/2" flap to 7" solid strip as shown. Layer outside of cozy with batting and quilt as desired. I echoed the zigzag across the entire panel. 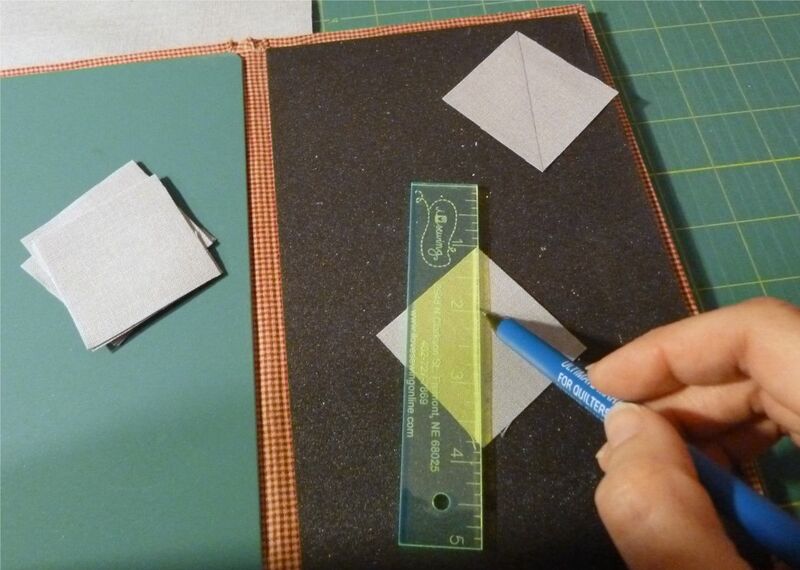 Trim batting to edges of panel. 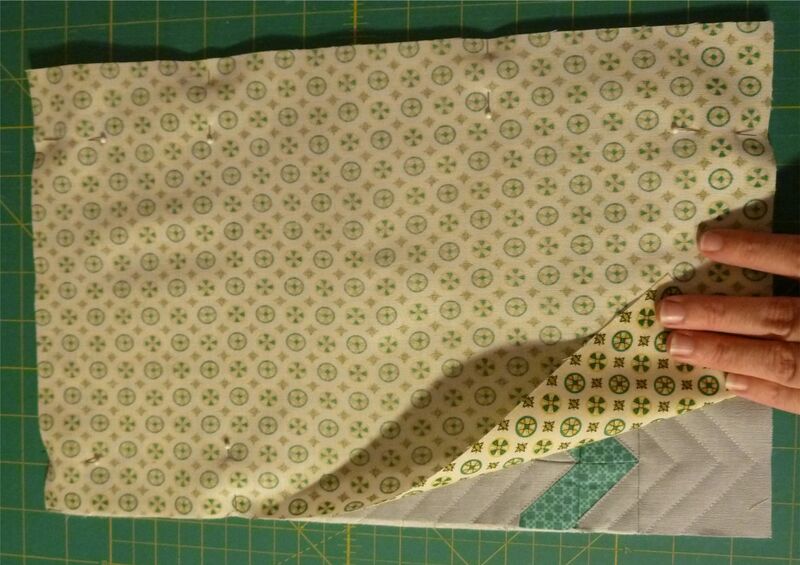 Layer inside lining with quilted outside panel, right sides together. Stitch around rectangle leaving a small hole for turning. Clip corners and turn cozy right side out. 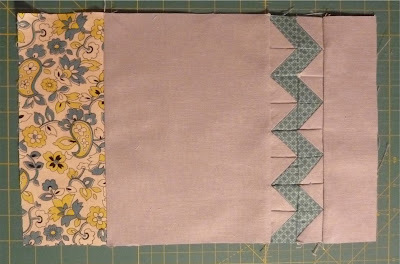 Fold bottom of cozy up to create pouch leaving 2 1/2" at the top. Topstitch along sides and top being sure to close hole left for turning. If desired add stick-on velcro dots to flap. Add your Kindle and you're ready to go! 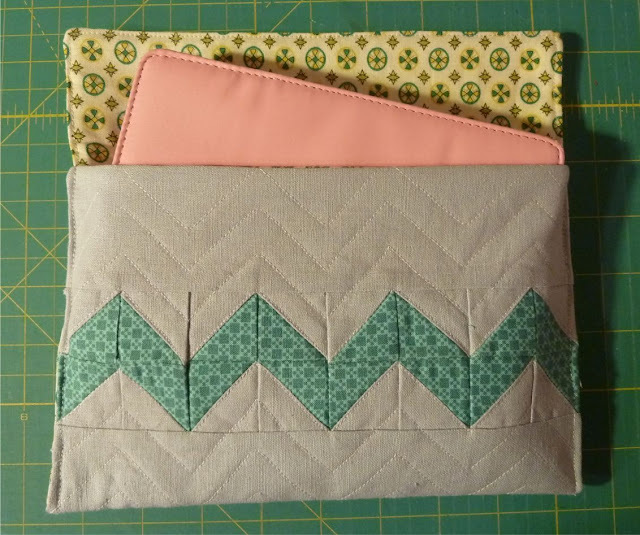 For more fun holiday tutorials check out Pink Chalk fabrics! I felt the same way about Kindles/books until my husband got me one. It's perfect for traveling and we don't have to store all those books on shelves! This is great! Thanks for the tutorial. 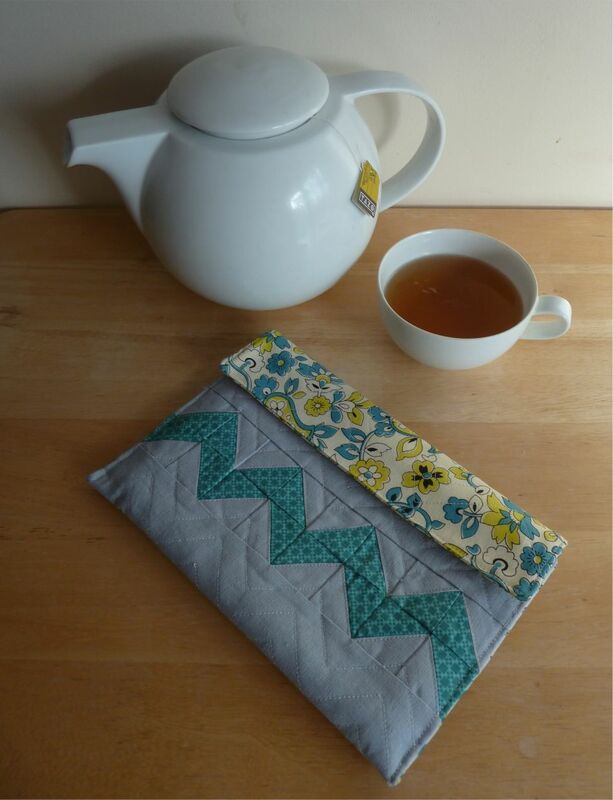 I'm new to Kindle and need a sweet cozy for it. Super cute! 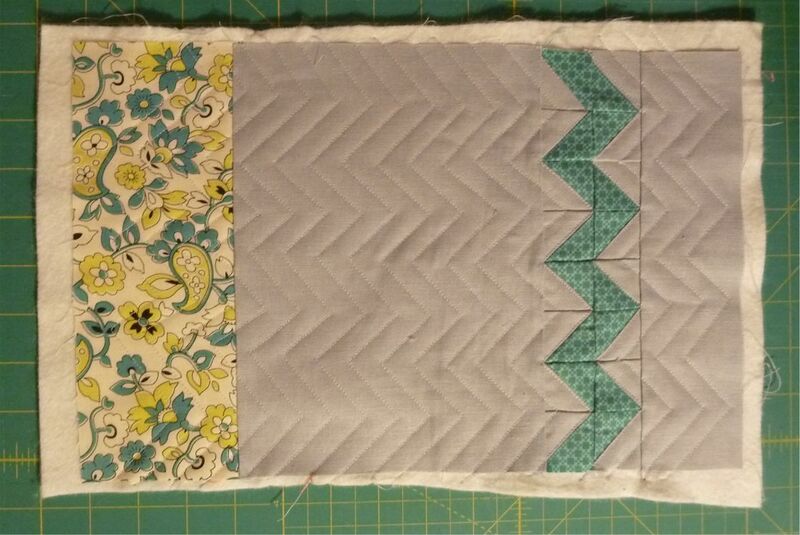 I love the echo quilting. What's the floral print you used on the flap? I love it! It's a really nice gift idea. The tutorial is great. I think my Nook will be getting a new cozy. I have some text fabric that will be perfect.